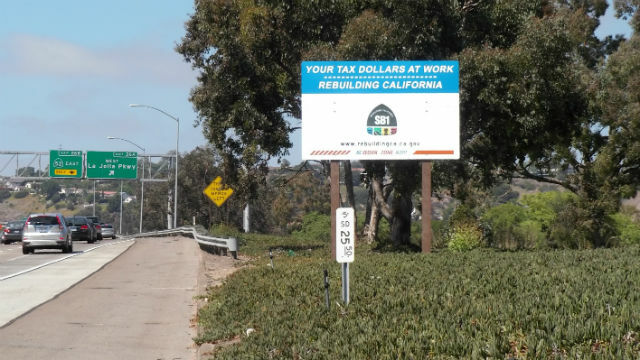 The San Diego Association of Governments announced Thursday it has been granted more than $300 million in state and federal funds for improvements to Interstate 5’s North Coast Corridor and the development of the future Otay Mesa East Border Crossing. The allocation from the California Transportation Commission will pay for nine miles of new high-occupancy vehicle lanes, a new bike route connecting the San Elijo and Batiquitos lagoons, a multi-use facility at Manchester Avenue and I-5 and other upgrades aimed at improving traffic flow. The majority of the funding is revenue from Senate Bill 1, which increased the state gas tax in November 2017. The federal government will match the state’s more than $202 million in SB1 funding with $97 million in federal funding. In addition to the improvements for I-5, the CTC allocated $3.9 million for the Otay Mesa East Port of Entry for site preparation design. When finished, SANDAG expects the new border entryway to expedite border crossing times for both personal and commercial vehicles.